Home>News>Oregon Law Student Wins Writing Competition for "Over My Dead Body: Preventing and Resolving Disputes Regarding the Disposition of the Dead"
The American College of Trust and Estate Counsel Foundation holds a yearly writing competition to encourage and reward law student’s scholarly works in the area of trusts and estates. The Mary Moers Wenig Writing Competition has awarded over $125,000 during a 13-year period. ACTEC Fellow and Professor Susan Gary encouraged Shawn Walker, a 3rd year student at University of Oregon School of Law, to submit his paper to the competition. Shawn drew on his experience in the family business to write his paper. 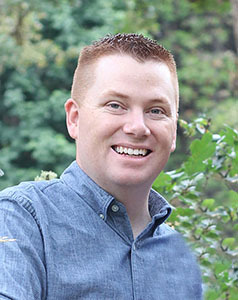 “Before law school I was a 3rd generation Funeral Director where I witnessed family disputes over how to honor the dead.” Shawn has an appreciation for families who plan ahead and leave less burden on beneficiaries. 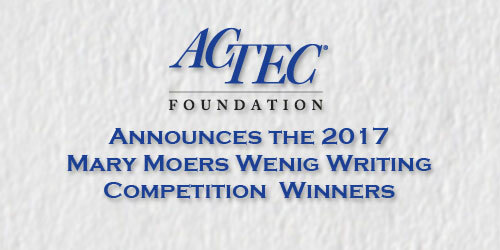 The Mary Moers Wenig Student Writing Competition was created to honor the late Mary Moers Wenig, a member of ACTEC’s Legal Education Committee, who was a law school professor for over 30 years. Writing competition entries are judged by members of ACTEC’s Legal Education Committee who are law school professors who teach in the area of trusts and estates and practitioners who teach as adjuncts in the trusts and estates field.